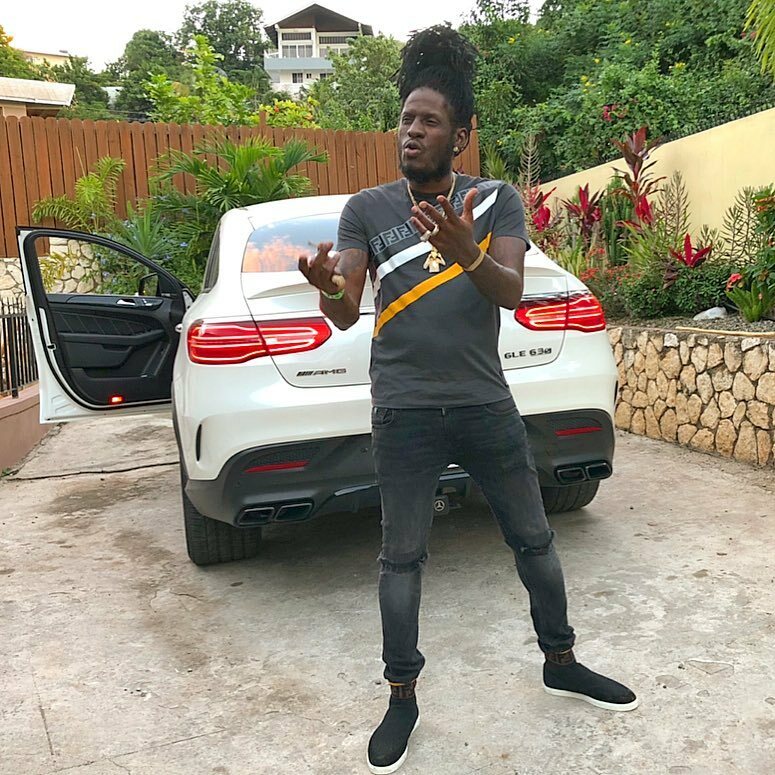 The dancehall escaped from a car accident last night with only minor injuries. Sources confirmed that his Mercedes-Benz GLE63 SUV was totaled in the crash that took place along Mannings Hill Road, St. Andrew. The full details surrounding the accident is not yet known, but we obtained below video which shows the aftermath. 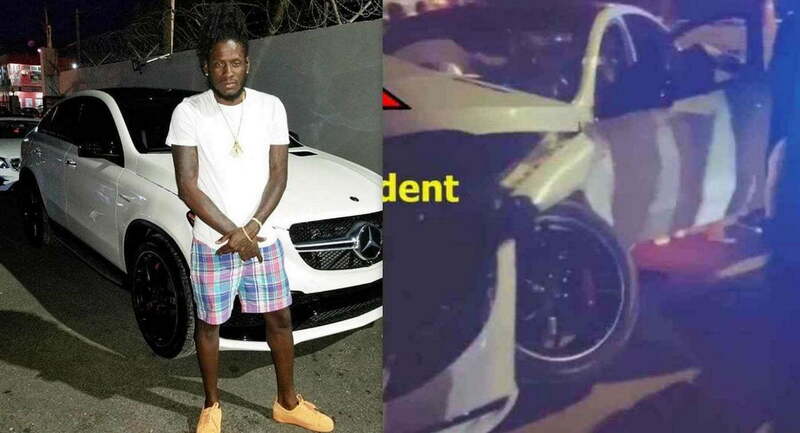 You can hear a female in the background saying that Aidonia is lucky to be alive and judging from the damage of his vehicle, her assessment is correct.